EARLY BIRD DISCOUNTS! LIMITED PERIOD ONLY! 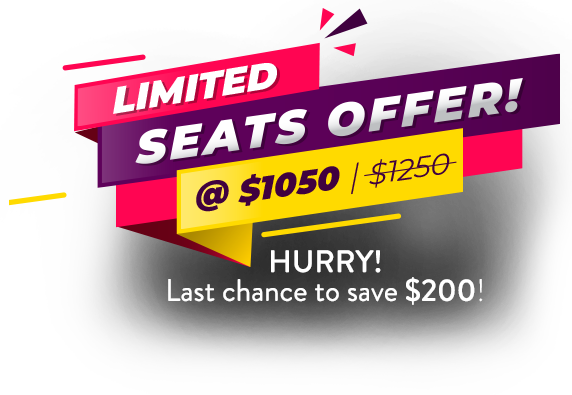 BOOK YOUR SEATS NOW! 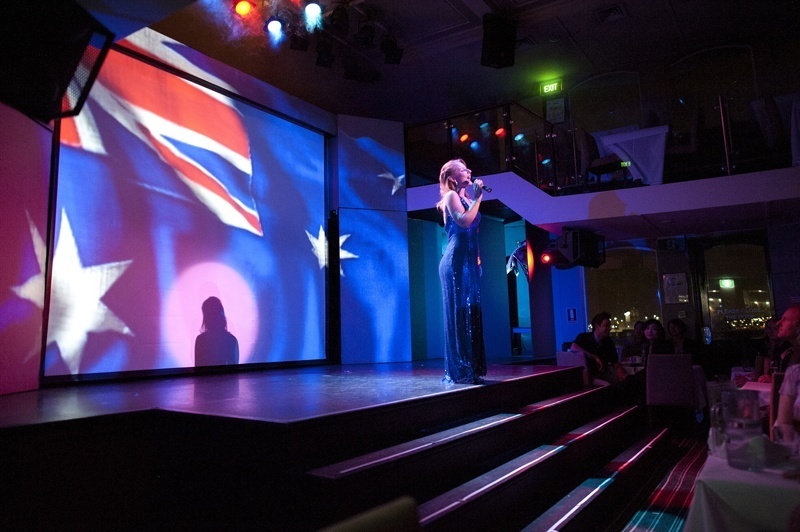 The Sydney Showboat New Year's Eve cruise is the only cruise on Sydney Harbour that presents a world-class international show featuring glamorous Australian show girls who have danced their way from Paris to the Sydney Showboats. The vibrant dancers deliver an exhilarating show with dazzling performances and costumes. 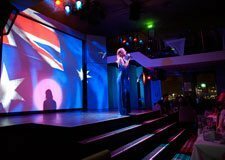 Your all-inclusive Sydney Showboat New Year's Eve package includes approximately 7hr 45min of cruise time, a gourmet 5-course seated and served dinner and all beverages for the duration of the dinner cruise. 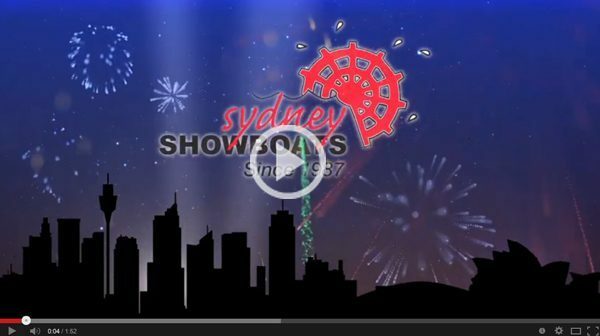 Since 1987, Sydney Showboats has delivered an unforgettable experience to over 5 million guests. These luxury paddlewheelers are built to the highest standard, with a stylish interior of backlit marble, warm lighting, rich textured fabric and dramatic lines. 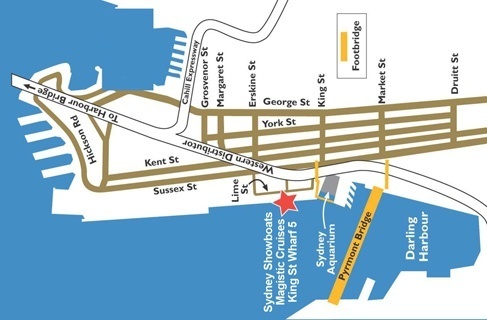 The Showboat New Year's Eve cruise is aboard a fully air-conditioned stable vessel that offers unsurpassed comfort and luxury on Sydney Harbour. The Sydney Showboats have large wrap-around balconies and expansive outer decks. 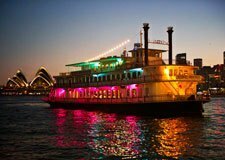 The Showboat New Year's Eve cruise has been sold out every year since 1999, and is the most popular dinner cruise due to its exceptional value. Indicative cruise schedule only. May be subject to changes without notice.
" Really nice and friendly, attentive table service. " " The whole experience was excellent and we really enjoyed it, however the only thing we felt was lacking was a build up to the fireworks. It would have been really good to have someone on deck to inform the passengers of the impending fireworks to build a little bit more of an atmosphere. We felt that the fireworks just happened and noted that many people missed the beginning as had not realised the time. Other than that a great experience. Thank you! " " We chose the cruise as it had been recommended. Except for the rain at the beginning of the evening we had a wonderful time. It was a fabulous experience and we also met international visitors. We would recommend this cruise to others. Thank you. " " Was a bucket list goal to enjoy New Years Eve fireworks on Sydney Harbour since watching Sydney fireworks on tv overseas as 2000 year ended and 2001 arrived. We migrated to Australia August 2001 from Canada. Dream come true. Thank you for an awesome experience. Karen and Terry Major "
" Great call centre staff when booking the cruise. An all round brilliant experience "
" Excellent night We will highly recommend this company and cruise Thanks for a great night and good memories "
" Thanks again for having us aboard. It was a fun night and we were well catered for "
" A most enjoyable evening. Wonderful fireworks. Wonderful cruise. Really enjoyed the whole experience. " " Had a wonderful time, thanks to all involved "
" It was on our bucket list and was the best New Years Eve we have had. We travelled from South Africa to see our children but decided that we would spend New Year tackling the bucket list. One of our best decisions. " 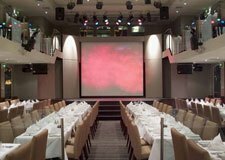 " I would like to acknowledge the excellent and professional service provided by your Travel Consultant Lia for our New Years Eve Showboat Cruise. 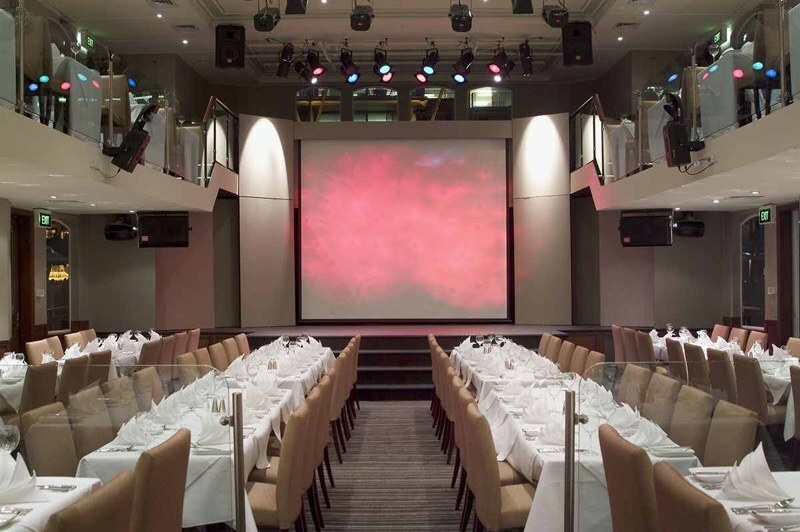 My sister and I had a fantastic time, and it began from the moment we stepped on board and saw how elegant the interior was set up and the presentation of the first flavor’s on the tables. The Pilot gave us a different perspective of outlying areas of the Harbour; it was beautiful. The vantage point selected to view the fireworks was awesome! I expected there to be heavy congestion on the water but that was not the case, it was quite organized. We would most definitely recommend this Cruise to our family and friends who may wish to travel to this part of the world to view the fireworks. YOUR COMPANY HELPED US BRING IN 2017 IN STYLE!!!!!!!!! " " A very special cruise, right through from Josh, who was extremely helpful and assisted with the booking process and answered all my questions with great detail, to disembarkation. Special dietary requirements were well-catered for. A truly splendid evening very much enjoyed by my 12 guests. 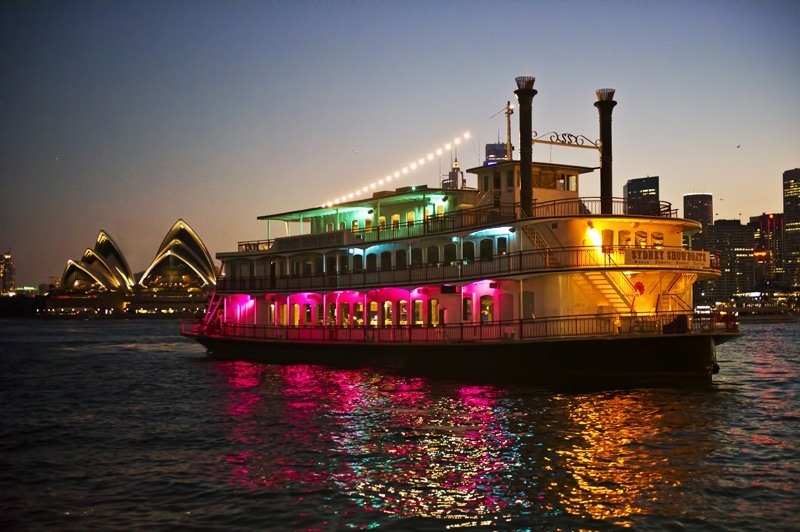 Thank you, Agnes Hain "
" We loved everything about our 2016 New Years Eve dinner cruise. 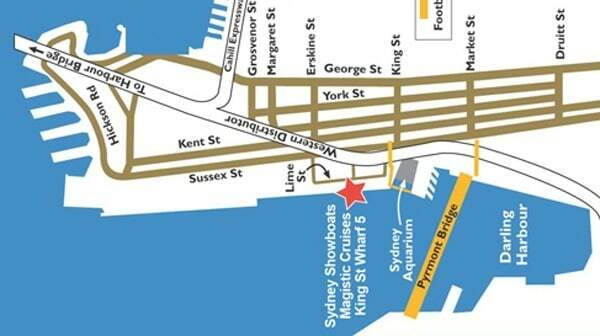 The food was fantastic, entertainment was great, window seats have great views of the harbour and city while we dined. Expensive at just over $1000 AUD per person but thankfully worth every penny. Having dedicated seats for the busiest evening of the year when the city crowds are all vying for space we felt so fortunate to be enjoying a fantastic evening with no hustle and bustle, whilst enjoying champagne and ice wines. Finishing off the evening with some dancing to some pop favorites was the perfect ending to a great night. We had been a bit concerned about other guests being loud & lairy but this was not an issue at all. We chatted to some interesting guests seated nearby, everyone was dressed up making it a fab night! " " Great night for NYE celebrations !! Thanks ! " " We had a brilliant time well done to all. It was lovely how quickly you boarded us rather than having to queue like other boats which would not have been dignified so that was thoughtful. The food was beautifully presented and tasted as good as it looked. The captain did a great job keeping us in position to see the fireworks as it was a bit windy well done to him must have been stressful. The serving staff did a brilliant job considering people popping out all the time nothing was too much trouble. The show was very cleverly done - excellent. Highly recommend this experience and particularly this boat. Well done to you an experience we will remember for ever. Happy new year to you all. Regards "